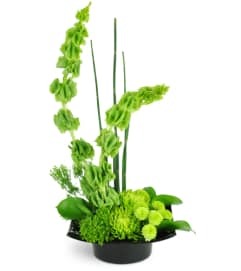 The grass is always greener with our marvelous medley of mini cymbidium orchids and Fuji mums. These dazzling emerald hues truly dance and shimmer! 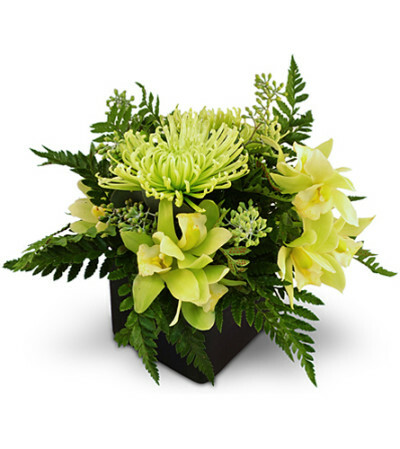 This lush arrangement is the perfect 'thank you,' 'get well,' or any occasion gift. 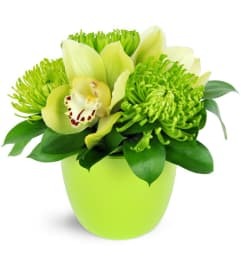 Mini cymbidium orchids and fuji mums are expertly arranged in a frosted glass vase, accented with seeded eucalyptus, hypericum berries, and leatherleaf. My sister-in-law love the flowers and she sent me a picture of them there were so beautiful and fresh looking this made her day . 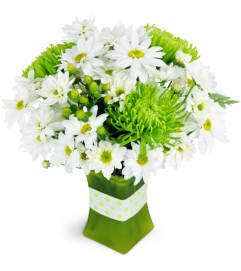 Thank you for the professional attention I will be using your florist again . 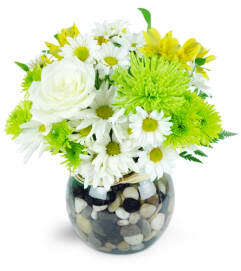 San Fernando Florist is a Lovingly Florist in San Fernando. Buying local matters. Discover how Lovingly supports local florists. Copyrighted images herein are used with permission by San Fernando Florist.